Scales and Babb join Roy Evans - LFChistory - Stats galore for Liverpool FC! 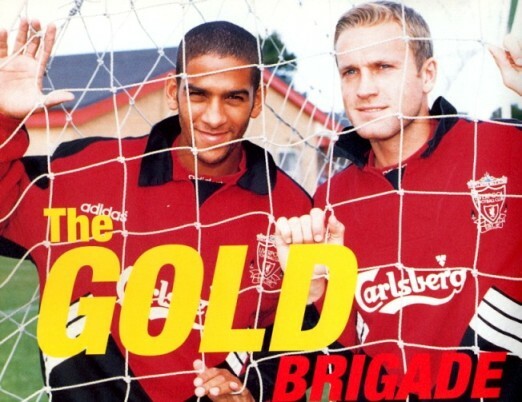 Central defenders Phil Babb and John Scales arrived 24 HRS within each other on 1st and 2nd September 1994. Liverpool paid a combined fee of £7,1 million on the pair which many predicted would form a strong backbone to Liverpool's defence for years to come. Babb arrived at the back of a strong showing in the 1994 world Cup where he had impressed with Ireland. Coventry sold him for a club record fee of £3,5 million and he became Britain's most expensive defender. Roy Evans was enthusiastic on his arrival, but chose his words carefully: "He's a good player and it remains to be seen whether he'll turn out to be a Liverpool player. At this moment he is just a good player and I sincerely hope he has a number of years here." Babb played quite regularily in his first two seasons when he won his only honour for Liverpool - a Coca Cola Cup medal after beating Bolton in 1995. But he never became a Liverpool player as Evans had hoped and Houllier got rid of him. Evans said he had been tracking John Scales for one year and was of course complimenatary about his new signing: "John is big, strong and a great athlete. He's been the steadiest defender in the League for a long time and he'll be a great asset to us." Scales boasts an unimpressive Liverpool career. He only lasted two years at Anfield after his £3,5 million move from Wimbledon. Scales later passed this judgement on his time at the club: "The ability in the team was phenomenal. The discipline was lacking and I'll hold my hands up at the time. It's certainly very difficult when you lose the discipline in a club." Many had envisaged that those two would form a central pairing but Evans used Scales and Babb along with Ruddock in a three man central formation in a 3-5-2 system that he felt best benefitted the team. Evans made a team that played entertaining football but defence wasn't its strongest suit and could have done with better central defenders.